Kayaking through mangroves on Charlotte Harbor. Every state has a town or city whose name warrants a second glance, a chuckle or a head-scratching in wonderment of its meaning. One particularly memorable name seen on a sign near Houston told me that I was in Bottle ‘N’ Smoke. There was absolutely no confusion in my mind as to what the name meant. But when towns use a foreign language, sometimes a translation or clarification is in order. Back in Florida, one of the state’s better-known cities is Boca Raton, Spanish for “rat mouth” or “mouth of the rat,” depending on your outlook, perhaps predicting that centuries later a close relative would become Florida’s most famous rodent. The name came from the shape of its inlet opening to the Atlantic Ocean on Spanish sailing charts. But this article is about Punta Gorda, or Broad Point, on early Spanish maps. However, another translation is Fat Point and that proves Shakespeare’s point. Punta Gorda is located in the geographic area known as Charlotte Harbor and the Gulf Islands, nine coastal communities surrounding Charlotte Harbor on Florida’s southwest coast. With 270-plus square miles of open water, it is the second-largest harbor in Florida. 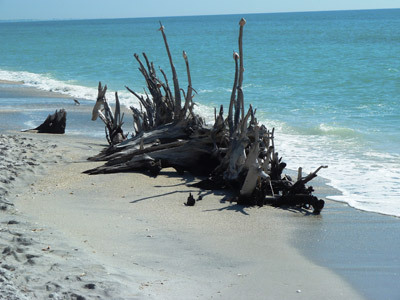 Driftwood on a beach on Charlotte Harbor. 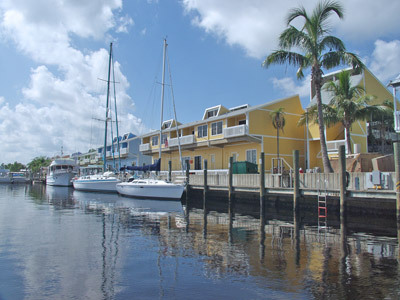 The city sits on the southern shore of Charlotte Harbor, making it a water-lover’s paradise. The Peace River flows into Charlotte Harbor from the east, and the Myakka River from the north. Opportunities for sailing, power boating, fishing and all other water sports are seemingly endless because of the area’s rivers, inlets and bays, including the Gulf of Mexico. Sailboats and large power boats have unrestricted access to the bay and Gulf west of the U.S. 41 Bridge over the Peace River. There are 830 miles of shoreline in greater Charlotte Harbor, nearly 84 percent of which is protected from development. 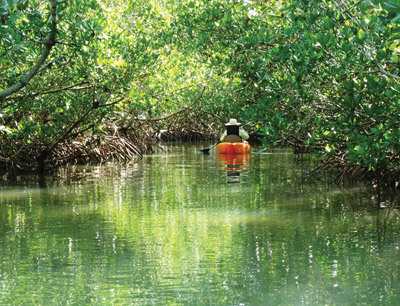 This area offers some of Florida’s most diverse saltwater and freshwater fishing, and there are some 200 miles open for kayaking and canoeing on the Charlotte Harbor Blueway Trail. Punta Gorda is the only incorporated city in Charlotte County. While relatively small, it boasts amenities usually found only in much larger cities, but without the crowds and traffic. With a year-round population of about 17,000 full-time residents, Punta Gorda is home to fewer people than some of Florida’s gated communities. There is a Performing Arts Center, a Symphony Orchestra and Visual Arts Center. You’ll find shopping, restaurants, waterfront boutiques, art galleries, festivals, live theater, museums, historical sites, marinas, parks and much more, and most are generally within walking distance of the city’s central core. Fisherman’s Village Villas. All have balconies with water views. A must-visit is the locally famous Fisherman’s Village. It is a two-story, weather-protected open-air mall and promenade sitting out over Charlotte Harbor that is also a shopping and dining destination, with many unique local shops and restaurants. There are no chain stores or restaurants in here. A Military Heritage Museum in the Village houses a large collection of World War II memorabilia that brings back memories of a time long ago for those who have become known as “The Greatest Generation.” There is no charge to visit the museum. The Village encompasses a large marina with docking facilities, charter and tour boats and, of course, fishing boats for both inshore and Gulf outings. Fisherman’s Village is also a complete resort. The second story has 47 furnished two-bedroom vacation units that sleep up to six with fully equipped kitchen and living room, and all units have water views. Amenities for guests also include a heated swimming pool, tennis courts and more. There is much to do and see in the area. For local sightseeing, leave your car at Fisherman’s Village and pedal through Punta Gorda, courtesy of Florida’s first free bike-loan program. Bikes are available at Fisherman’s Village and other locations around the city. Tour waterfront parks, art galleries and historic buildings at your leisure or go on a treasure hunt and try to find as many wall murals as you can on buildings throughout the city depicting local history. Charlotte County is a large area geographically but sparsely populated, leaving lots of open, undeveloped land. Just east of downtown Punta Gorda is the Babcock Ranch Wildlife Management Area. This is a 90,000-acre working cattle ranch and preserve, shared between state and federal jurisdictions, and it is home to Babcock Wilderness Adventures. A narrated 90-minute ride here in an open-sided “buggy” transports visitors to Florida as it used to be. Passing through pasturelands, pine flatwoods and freshwater marshes, including the huge Telegraph Cypress Swamp, will bring you face to face with lots of wildlife. Remember, this is not Disney. This is real. If you want to be assured of seeing alligators — and lots of big ones, at that — the buggy ride through the Telegraph Swamp is the place to do it. A show-stopper at Muscle Car City Museum. For a trip back in time, head south of downtown to the wonderful Muscle Car City Museum. Housed in a 99,000-square-foot building, more than 200 GM performance cars of the ’60s and ’70s are on display. These mint-condition cars sit there seemingly waiting for someone to take them out for a spin. Just inside the door, a lineup of the first Corvettes is a showstopper. 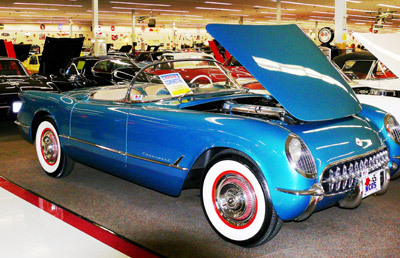 Everyone spends their first moments drooling over these earliest production models. When they were on the road, these cars were art in motion. When it comes to that all-important decision of where to dine, Punta Gorda offers an amazing number of options for such a small city. Having visited the restaurants listed below, which represent only a small sampling of availabilities, I can personally vouch for their excellent food and service. In a waterfront city where fresh seafood is king, The Village Fish Market, in Fishermen’s Village, is highly recommended for either lunch or dinner. A more casual family-style fish restaurant is Peace River Seafood & Crab Shack, in an authentic Florida Cracker house and a really special setting for seafood lovers. For a more upscale atmosphere, try Laishley’s Crab House overlooking Charlotte Harbor. Evening dining in downtown Punta Gorda can be enjoyed at award-winning The Perfect Caper, featuring Asian-Fusion foods accented with French and American flavors. Equally captivating is the Trabue Restaurant, offering fresh and modern American fare. Dining can be enjoyed inside, surrounded by eclectic decorating, or outside in the delightful garden patio. This article highlights only a few of the many wonderful experiences awaiting travelers to Punta Gorda. At the beginning, I quoted those famous lines from Shakespeare’s play Romeo and Juliet, “…A rose by any other name…”. Town names can be deceiving, grandiose, humorous or misleading. It all comes down to whether or not it is a place you would want to visit, return to and/or live. Punta Gorda ranks high on my list for all of these options.